FORT WORTH—Today the Konni Burton campaign announced the endorsement of Tarrant County Commissioner Andy Nguyen. Nguyen is Commissioner for Precinct 2, in Southeast Tarrant County, and has provided strong, conservative leadership there since 2010. 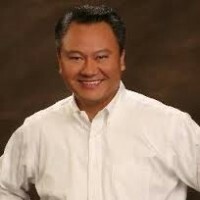 An immigrant from Vietnam, Andy is a retired artillery officer in the United States Army, and is the founder of a telecom company, AIT Technologies. Nguyen’s endorsement is critical in the GOP runoff, and part of the growing momentum behind Burton’s campaign in the weeks before early voting. Commissioner Nguyen joins Tarrant County Judge Glen Whitley and Tax Assessor/Collector Ron Wright in offering their endorsement in the runoff, with an eye on defeating the Democrats in November. Join Commissioner Nguyen by endorsing Konni Burton today!